Oktoberfest in Munich can wait. 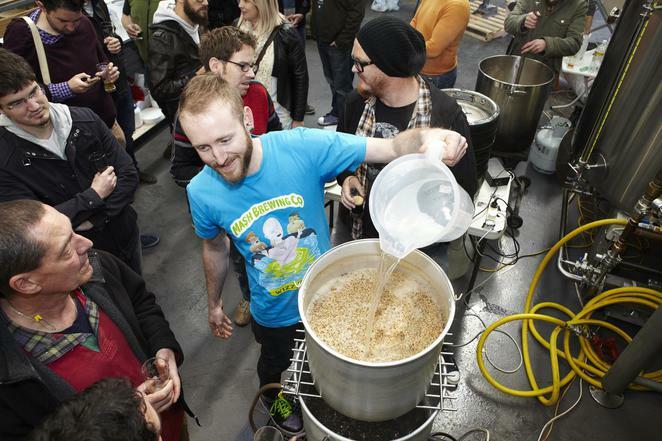 Good Beer Week returns in May, bringing casks upon casks of quality craft beers to more than 50,000 enthusiasts and the curious through 270 events in Melbourne and around Victoria. This includes the Australian International Beer Awards (AIBA) and the GABS Beer, Cider and Food Festival at the Royal Exhibition Building. It is touted by many of the world's leading craft brewers as the pre-eminent beer event in Australia and even the best beer week around the globe. Melbourne is already the country's art capital and Good Beer Week adds another accolade as the craft beer capital of Australia. This year's program also serves up a gigantic paddle of beer-filled experiences such as a masterclass in ancient ales, brewery tour in Geelong, beers served directly from casks, brews visiting from as far away as the Nordics, recipes of mead, and unique beer-matched dinners. One such top dining event is the Louisiana Beer Dinner hosted by Girl with the Gris Gris, the restaurant arm of the infamous Ding Dong Lounge. It marries the sounds, smells and tastes of the bayou with craft beers. The dinner sold out in 2015 as quickly as you can fill a pint of beer. Tickets for 2016 are also thinning with only few tables available on 18 and 19 May. Bill Walsh is the brainchild behind the restaurant serving Creole and Cajun cuisine. I caught up with Bill to get a quick inside scoop of Good Beer Week and what to expect from this year's Louisiana Beer Dinner. Lionel; What was the inspiration behind starting Girl with Gris Gris? Bill: I had been spending a great deal of time in New Orleans and fell in love with the food and the story behind it. I felt that Melbourne and it's Foodie culture might embrace Cajun and Creole cuisine. Lionel: What's different between Good Beer Week and other beverage and food festivals in Melbourne? Bill: Probably have to say the focus on the beery offerings. Lionel: Which brewers are you looking forward to meet during Good Beer Week? Bill: I'm off to the GAB event next Friday (20 May), so I'm keen to meet the Brooklyn Brewery guys and catch up with my old mates from Mountain Goat and Stone and Wood. Lionel: What made you decide to join in the Good Beer Week bandwagon again this year? Bill: Beer and Gumbo equals satisfaction and fun. The (Cajun & Creole) food really lends itself to being paired with beer. 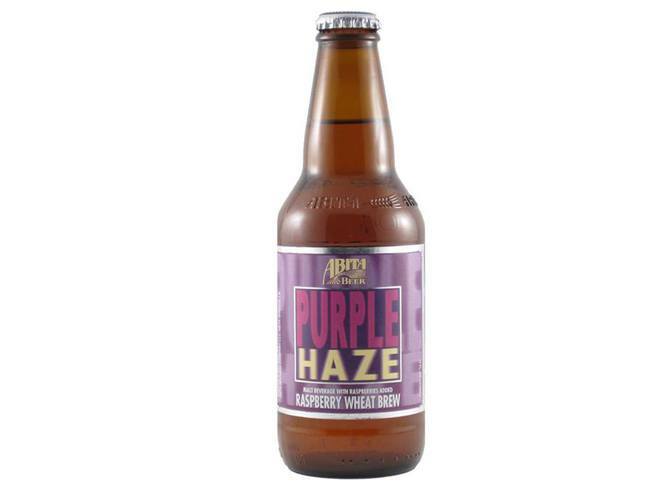 Fortunately I managed to source Abita Springs craft beer offerings and we paired them with particular dishes. Lionel: What's interesting about your restaurant and cuisine? Bill: I would like to think that my Louisiana chef, Chris Weysham, is the difference between Gris Gris and other similar eateries. Cajun and Creole cuisine is based on a combination of French, Spanish and Italian provincial food and sauces. It is situated in a location that has many streams, rivers and bayous and uses the food groups common to the location such as oysters, crawfish, shrimp, fresh and saltwater fish. Many people have fully embraced the food, and a common thread amongst diners has been the interest folks have in New Orleans music and food culture. Lionel: What tasty dishes are you serving up for the Louisiana Beer Dinner this year? Bill: Beer and Cheddar Soup (bacon and chive oil), Shrimp and Grits (polenta, shitake mushrooms), Braised Pork Belly (apple sauce, roasted brussel sprouts, pickled cabbage), Raspberry Mousse. Lionel: What matched beers can we look forward to at your Dinner? Bill: Louisiana Abita Springs Brewery's Amber Ale, Golden Ale, Turbo Dog dark Ale and Purple Haze Raspberry Ale. Note: Spaces for the Louisiana Beer Dinner are selling fast so visit the website to purchase your tickets to 18 or 19 May today.